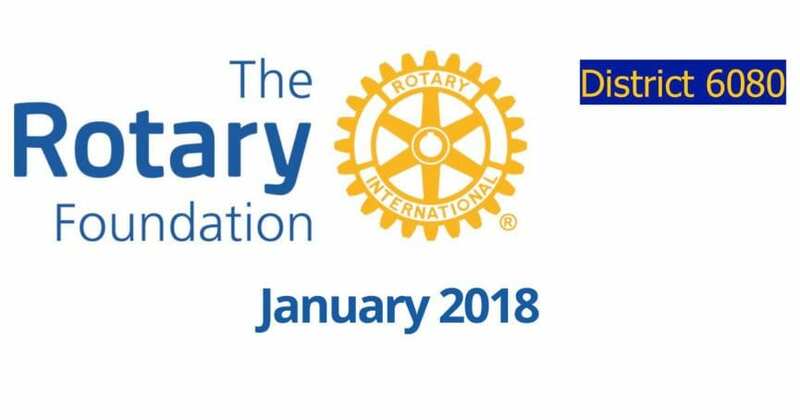 The January 2018 Rotary District 6080 Foundation Newsletter is now available. In it you will see that the Rotary club of Willow Springs is the number 1 club in the district as measured by contributions to the Annual Fund of The Rotary Foundation. Congratulations!! You will also be able to learn all you need to know about “points”. The current District 6080 Rotary Global Scholar has included a December report of her studies at the University of Edinburgh, studying medicinal ethnobotany, one day identifying a new drug needed to cure disease. As a side note, several issues past an update on past District 6080 Ambassadorial Scholar Gregory Rockson was published. He was a candidate from the Rotary club of Fulton. He is now a healthcare entrepreneur in Africa assuring that pharmaceuticals are distributed in sufficient quantity to locations where there is a need. He reports that in 2017 nearly 5 million pills were distributed to 76,650 patients. His is a multimillion dollar operation and he says he is hiring. We are justifiably proud that our scholars do make a difference and do change the world for the better.